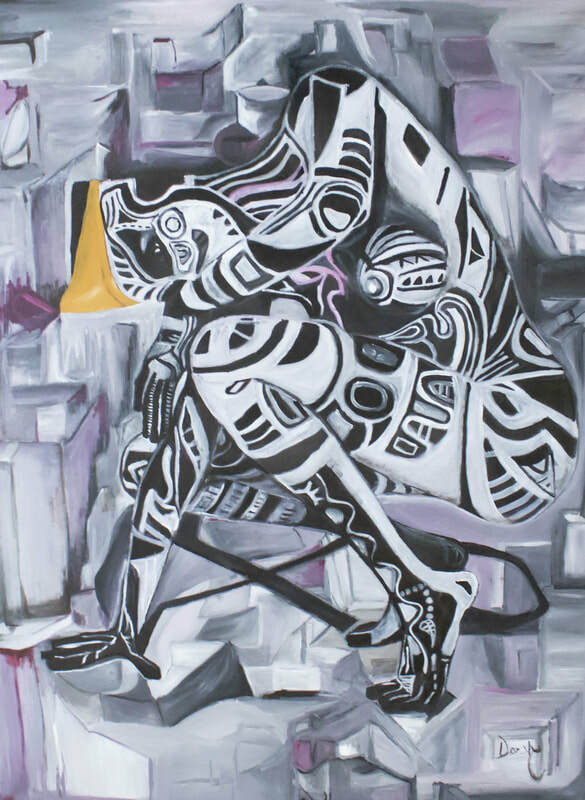 Ibe Ekuma is a self-taught artist with a love of the surreal. She’s about the take the art world by storm. But first, a journey through Nigerian folklore, finding joy and Afrofuturism with Ngum Ngafor. The human body is your muse. Why? I am inspired mostly by the different expressions we make. I love how the body has its own way of communication. You know, facial expressions, smiles, staring eyes, eyes looking into space and so on. And I love how the human body communicates our true feelings. Words can lie. But for the body [to do the same], one has to be a master. I like to observe body movements and capture a particular action in time. Also, I use it to communicate my emotions, convey messages or tell stories through art. Tell me about your debut exhibition, The Art of Creation. What inspired it? Blackness, queerness and displacement are themes that connect the ten pieces of your collection. Why do they matter? They make up what I am, who I am and how I view the world. These influences have also brought out boldness in me. I incorporate this quality into various paintings to emphasise life, vigour and strength while also communicating softness and peacefulness. My style emerges from a blend of these aspects of life. Talk about an economics graduate becoming an artist! How did your parents react to that decision? At first, they wanted me to further my career in Economics but later, they became supportive of me. My father would often remind me that I am a born artist that the craft will always be around. Teaching yourself to do art must be a challenge. How do you ensure your progress? Being a self- taught artist opens me up to various learning opportunities from painting to marketing. And I must say there is still a lot to learn, to do and to get involve with. The idea of empowering women is important to you. How can art bring women to self-fulfilment? 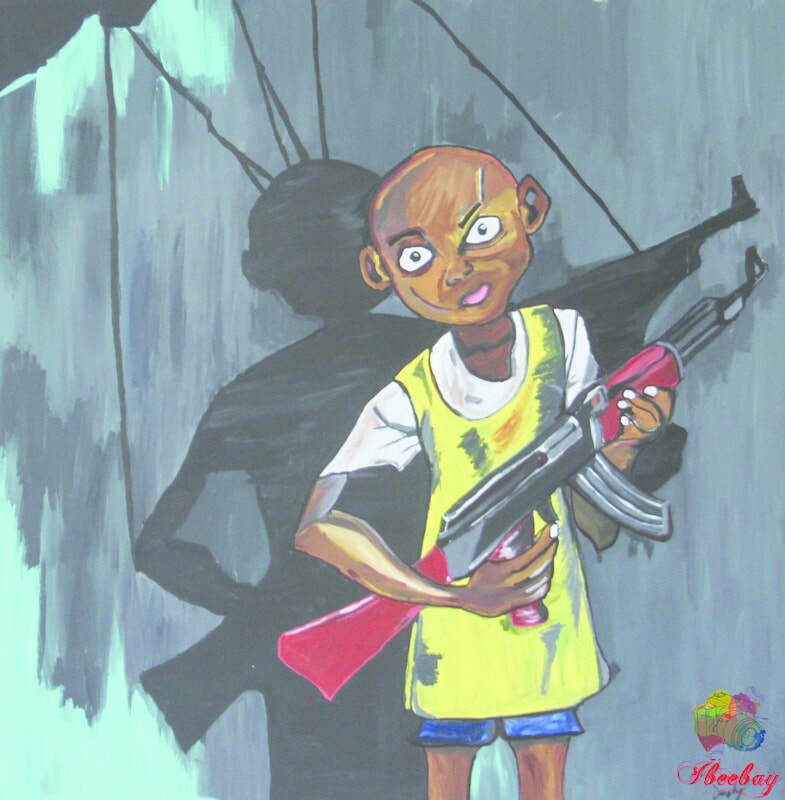 Art teaches you the self- investment, dedication and discipline required to achieve a goal. For centuries, it has been a source of self-fulfilment for women, be it in their lives, fashion, activism or entertainment. Art is one way for not just women, but all human beings to find joy in their lives or at least to strive for it. Afrofuturism is a major influence for you. Why is this movement important to Africa and its diaspora? Can its ideas spread beyond art? 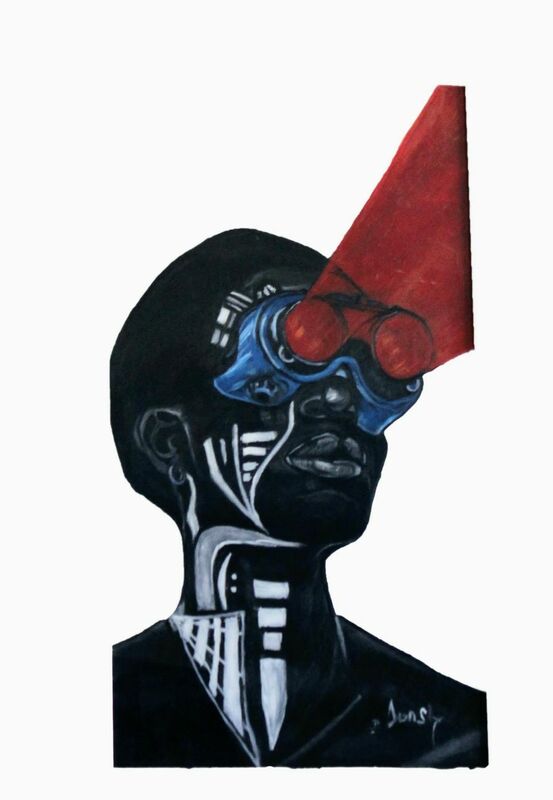 Afrofuturism is an important movement – in all art forms – because it subverts the way non-Africans view Africa as not being a part of the world’s future. As a diaspora, it is important [for us to ensure] that Africa is also seen as a growing and forward moving continent. I believe Afrofuturism can spread beyond art. That’s why films such as Black Panther, Get Out, as well as Nollywood productions and other aspects of African entertainment matter. The concept is gradually receiving the exposure it needs and deserves. The Art of Creation exhibition takes place on Wednesday 23 May at West End Cultural Centre, 586 Ellice Avenue, Winnipeg, Canada.